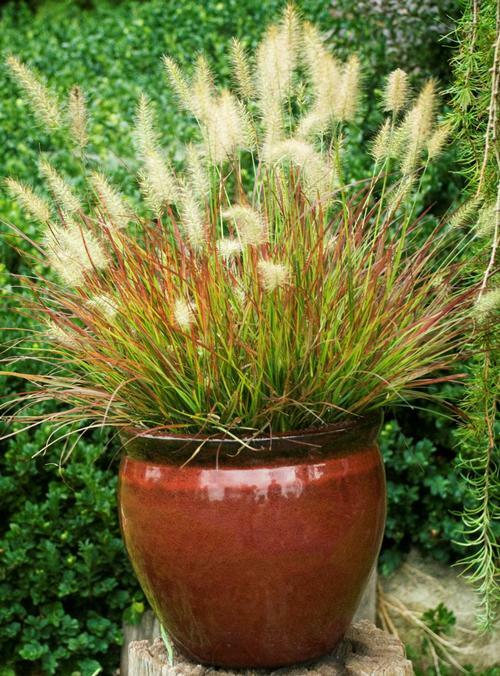 Wonderful mounding grass with gracefully arching foliage and stems. Attractive bottlebrush-like flowers bloom late summer. Very floriferous.